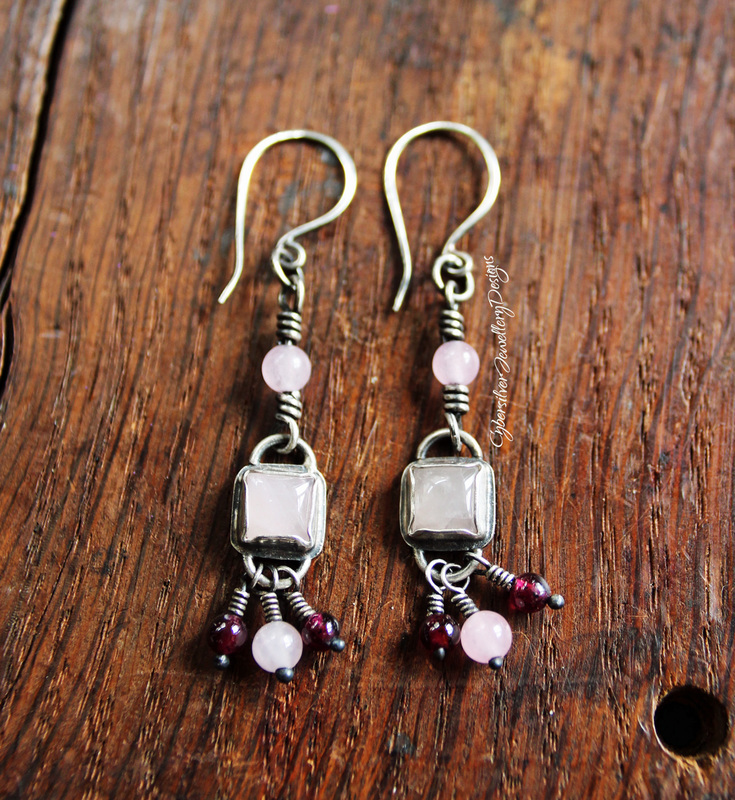 Entirely handmade from sterling silver, these pretty earrings feature two square rose quartz gemstones in silver settings with hand-wrapped rose quartz and garnet beads. 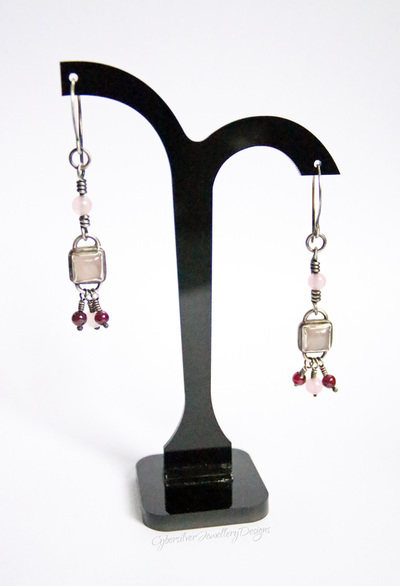 These earrings have a lovely movement to them and are light enough to wear comfortably all day long. 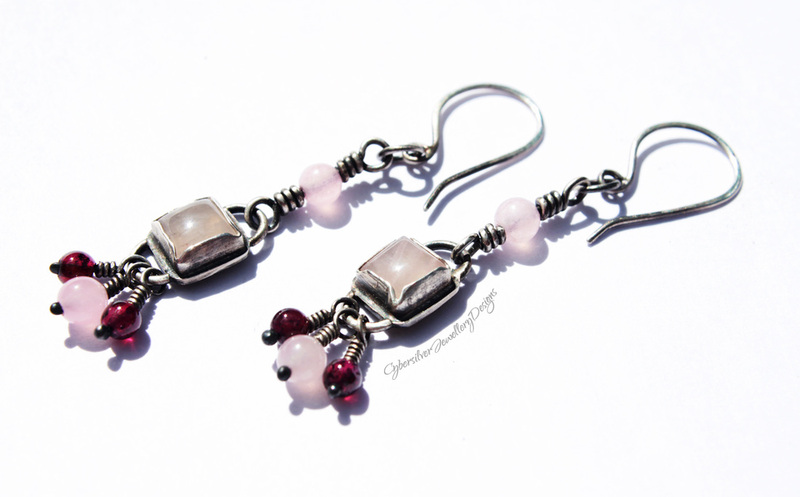 Rose quartz is the stone of universal love and is often referred to as the 'Love Stone'. and helps open the heart to love. It is a stone of love and marriage as it helps to open the heart to love, but it also helps the wearer feel a strong sense of self-worth, or self-love. Rose quartz promotes inner healing and feelings of peace, dispelling negativity. It also helps protect against environmental pollution.